"Creating A New Mindful Model For A Sustainable Future For of Drums & Trees"
Join us MWDG 2019 and 2020. Let's grow and build together from the previous years of the MWDG Global Initiative. More information is coming soon. "WE ARE CREATIVING A NEW MINDFUL MODEL FOR THE LOVE OF DRUMS & TREES"
You, your community and circles of friends can participate and join the MWDG Global Initiative in the following ways and become "One Of A Million for the Love of Drums & Trees". All members of the community are welcome to participate in MWDG. Celebrate Earth Day - Gather to Drum | Sing | Dance and Plant a Tree together at a public or private location. Bring Drums and sustainability conversation to an Earthday Event. Gather with Drummers, Musicians and Friends and talk about ways that an Urban Neighborhood can increase the amount of Trees and benefit from the Tree's ability to create shade, cleaner air and social calm. 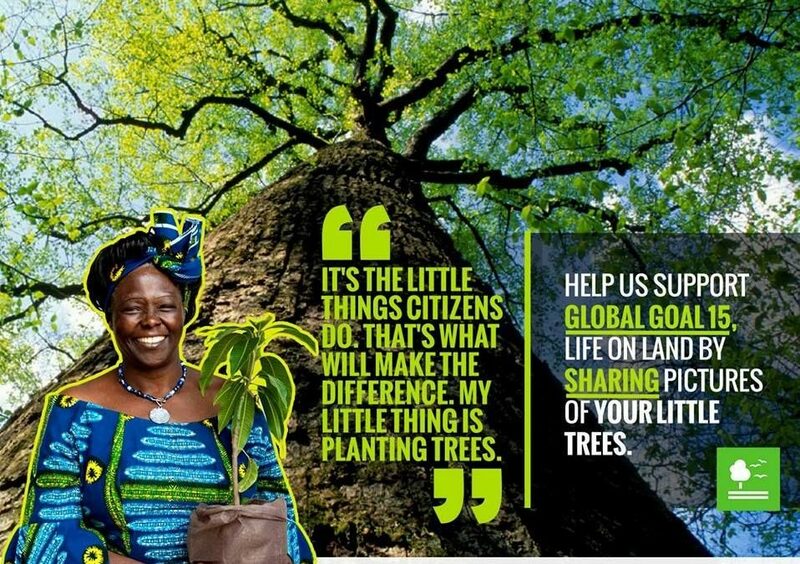 Participate with your local organizations that already Plant Trees and volunteer to help plant them and offer to bring Drumming to the Tree Planting Experience for all. Organize an local "MWDG Branch" and join our inner circle of local leaders and influencers. Include the importance of mindfulness of Environmental Conservation and Sustainability in your conversations with Youth, Musicians, Community Drummers, Drum and Wooden Instrument makers, Businesses and Manufacturers of wooden musical instruments. Take the time to express your personal Appreciation and Gratitude for Trees that give all of us the ability to Breathe Clean Air, and that gift us with beautiful instruments and the experience of beautiful | powerful | tranformative music. Support the country/village that made your drum/wooden musical instrument in some meaningful way that shows your commitment to a sustainable future for Drums, Trees and Wooden Musical Instruments and the health their environment. Share your events, gatherings, pictures and videos here to inspire and motivate us all to "Create A New Mindful Model" for a Sustainable Future. 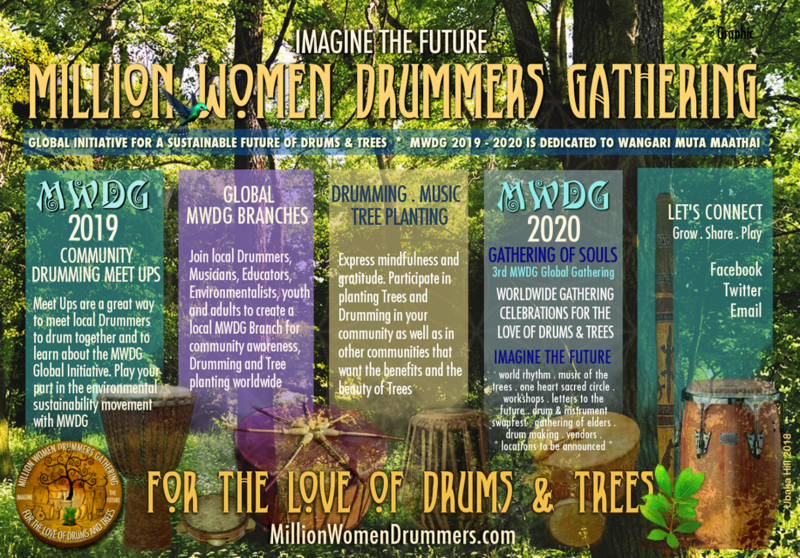 MWDG Global Initiative is a Volunteer based global communinty of mindful women drummers promoting healthly enviromental conservation and sustainabilty of Trees for all drummers and muscians of wooden musical instruments of all ages. Million Women Drummers Gathering Global Initiative (MWDG) is a volunteer based initiative of Women Drummers partnering with Artists, Musicians, Environmentalists, Earth Stewards, Students, Organizations, Businesses and Concerned Citizens to raise awareness and create mindful practices for a Sustainable future of Trees and the Musical Instruments made from them. With information, education and consciousness raising, local Meet Ups, MWDG Community Tree Planting-Music Events and Gatherings - we are "creating a new mindful model" for a sustainable future of Drums & Trees. We are very excited about MWDG 2019-2020 events.